I almost feel bad for World Event Productions, the guys are very nice but the only success they’ve ever had is dubbing GoLion into Voltron and then buying the rights for GoLion. All their other shows had lukewarm success in the 80s and all their revivals of Voltron have failed. They’ve also been trying to get a Voltron movie for over ten years now. I hoped they had learned from their failures of Voltron: The Next Dimension and Voltron Force. Voltron Legendary Defender being a re-imagining was good since the other two projects were sequels and failed terribly. Netflix committed to a 78 episode order and Dreamworks of all studios delivered something very different from their usual stuff. Here is a full look back at Voltron Legendary Defender going through each season. The pilot which is a little over an hour long and I enjoyed it; I had read a lot of overly positively and I disagree that it’s as good as those reviews made it out to be. It’s not bad and it’s a good start but there’s nothing that makes this outstanding but there was potential. After watching the first season I overall liked it but I didn’t love it. I have to admit I had very high expectations. Voltron is a franchise I have always been interested in but never watched too much of and this new show seemed to have all the right stuff to be amazing with nice animation, art style, a reboot to work with the established material but it’s definitely lacking to be that. I kind of got the feeling that the show was ashamed of being a Voltron show and you’ll see some examples below as I’ll keep mentioning this. Maybe because the two previous Voltron reboots failed? I don’t understand their distancing from the source material and yet still want to do Voltron. I hoped other seasons would explain a few things more and go into more Volt ron lore and see more of Voltron and fix the mistakes the first season had. I really wanted to love this show but it’s not letting me and this was the case in all its seasons. Characters: I found all the good guys great. 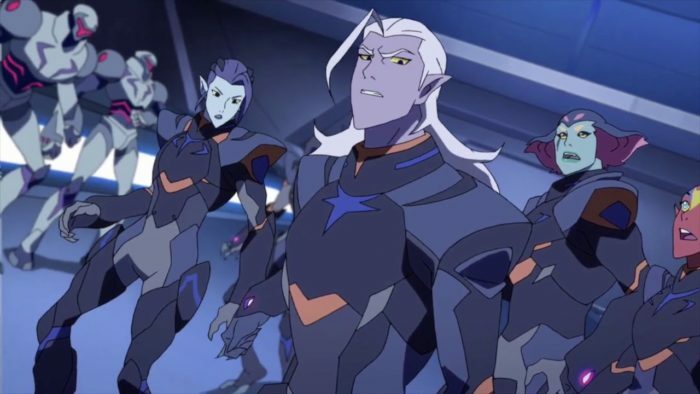 I’m ok with Allura looking more alien like and I’m ok with Pidge being a girl but not crazy about it either. Normally I don’t like changes like these but it worked well enough for me to not complain. I always liked Sven’s name and character and while it’s cool to see him the whole season I don’t understand why they changed his name. The villains are usually shown as evil for the sake of being evil but there were indeed some stand out scenes for some of them. 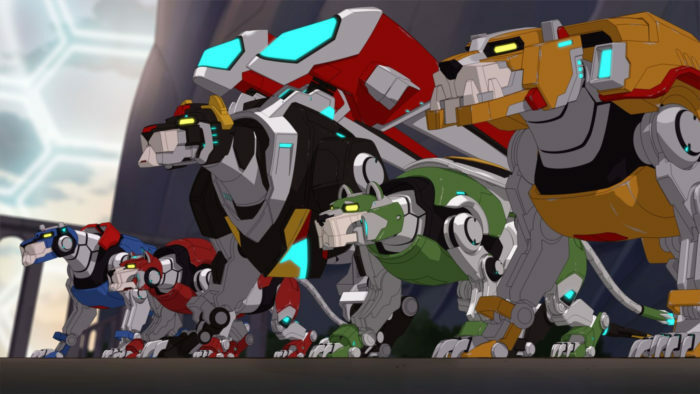 I like the way they use the lions and not make the separated forms useless like in Power Rangers but for a show called Voltron it doesn’t really show up too often. Sure you can argue that makes it “special” but…. not really it just kind of transforms quickly, if they’re going to tease they should do a nice reveal. Music: It’s very generic though I’ll admit I some of the generic grew on me like the main theme. Still the show needs themes for characters and action scenes and it didn’t do this. Of course the biggest offender is not using the classic theme which is perplexing. It was one thing that was definitely missed, I hoped it would eventually show up but it didn’t, I later learned it was because of some rights issues which I don’t understand since World Event Productions had always overused it every chance it had. 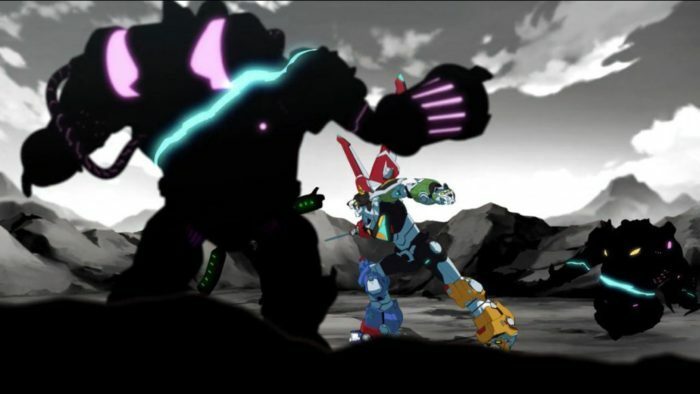 Story: This is the biggest offender, the original show isn’t very consistent with its mythology or motivations and I expected that to change here since they had a blank slate, the lore already done but for the most part nothing is really explained and even though we spend many episodes setting up the story some things that don’t make sense like what exactly is Voltron and how does magic work here and what not is, yet it’s never even questioned. The last episode was awesome and something I expected out of the others. In most of its seasons the pacing felt rather slow. The show is called Voltron though, it doesn’t need to appear in every episode but it barely even appeared and it’s a show about a giant mecha robot. The original theme never appeared and what made it worst is the music was super generic so you can’t even say they replaced it with something better. The original show built a universe and this new show kind of went with their own thing which seems like a waste counting they had tons of stuff to work with that has been established in the mythos but it’s all just ignored for a blander version. As far as the original show and its flaws which this show even makes fun off as well as the fans of Legendary Defender; Voltron: Guardian of the Galaxy (Defender of the Universe) wasn’t just an edited version of GoLion it really became its own thing and arguably much more interesting take than GoLion ever was. Sure the censorship hurts Voltron as GoLion was able to be a little more dramatic at points but then WEP ordered their own season in which many of the “edits” now became canon as we saw the soldiers being built as robots, etc. We saw the story continue with Vehicle Voltron and then having a team up with lion voltron. Not to mention it got two sequel series (Next Dimension & Force). So yes, more than a dub Voltron should be compared to Power Rangers and Samurai Pizza Cats were it took the source material from elsewhere but did its own thing entirely with it independent of what it was supposed to be. When I finished season and it still hadn’t won me over. Like I mentioned before I really wanted to love this show, the animation was great, I love the character designs and the overall look of the revival. 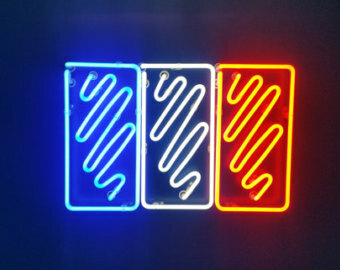 The story is jsut so dull and generic, the twists it tries are not that interesting, the music lacks any emotion and I actually think the music is the worst part of the show as good music could’ve added a lot more to the generic drama, you’d think if they weren’t going to reuse any of the old music from past shows including the iconic theme was because they had a great composer with a new take but man is it bland . The worst part is many of the things it fails in could’ve been taken tips from previous Voltron shows, the plot of the old shows had potential even if not fully realized because cartoons had worse writing in the past and they could’ve fleshed those out and made a very compelling show, having an entirely new take would’ve been fine I don’t have anything against trying to be original but it just hasn’t gotten me interested at all and we’re two seasons in now. 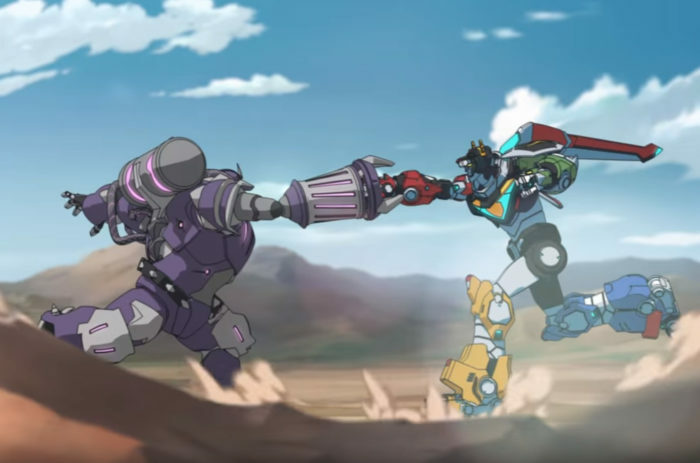 I do think the lions and Voltron were better used this season but I still feel the producers of the show are ashamed of Voltron and are trying to do their own thing with the Voltron icense as an excuse to get funding. 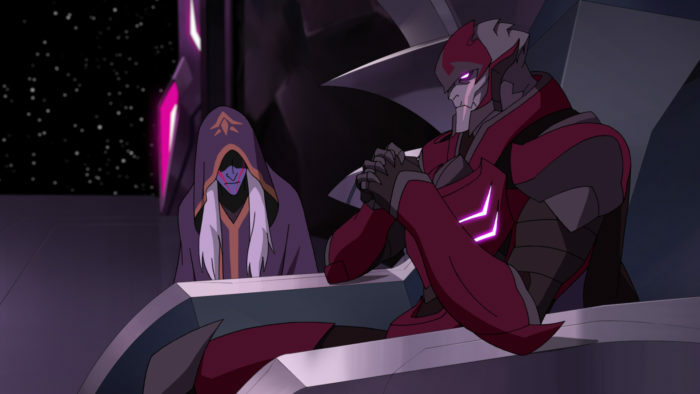 The Prince Lotor ending was a nice ending, I feel he should’ve been in the first two seasons instead of “saving him” for a season teaser but it was still nice. After this Netflix started splitting the seasons in two, so season 3 is only 7 episodes unlike the 13 episode S1 and 2. Season 4 was 6 episodes making it a 13 episode split season. They did this again for season 5 and 6 and splitting the 13 episode season into 6 and 7. For seasons 7 and 8 they stopped splitting the seasons since they seemed to want to rush out the entire show. This reboot actually has more episodes than the two previous failed revivals Voltron: The Third Dimension and Voltron Force together. 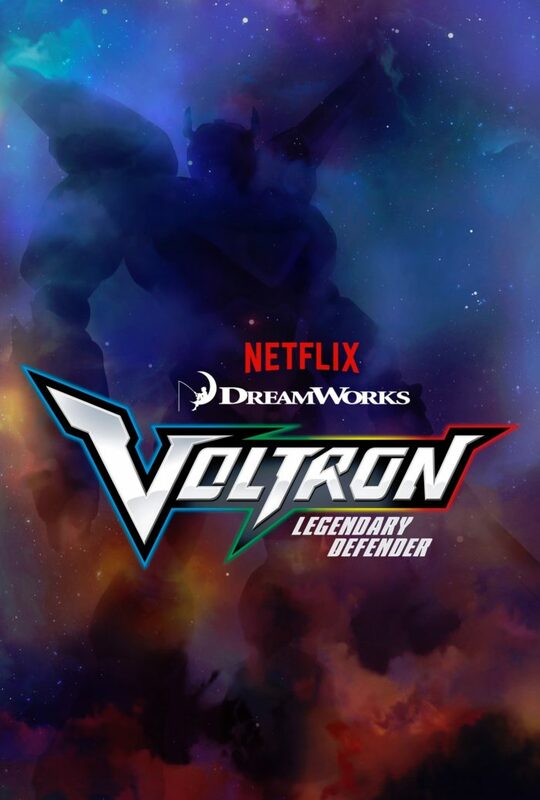 It has more episodes than the original Voltron Defender of the Universe show including its second season but not including the Vehicle Voltron season. 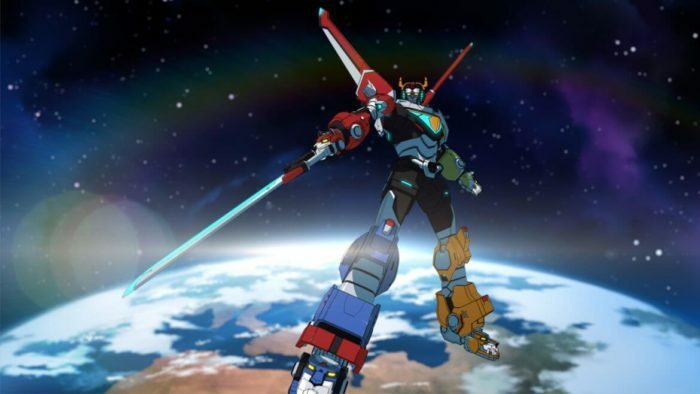 I’ve been very critical of the show but watching it has still been enjoyable, It does try to pay homage to Voltron from time to time; It’s just that writers were doing their own show and just using Voltron to do it. Most seasons start off really solid but it is “mehtron” a few episodes into it and starts doing a bunch of nonsense or worse off just stall for a while. I still feel like the lore of the original would’ve made a better show, the original Voltron was filled with plot holes and inconsistencies mostly because of its time and they just didn’t care but it was possible to finally fix that here but we didn’t get that. It mostly ignores many important and cool aspects of classic Voltron. I want to love Legendary defender more since I love the style but it gives us a lot of Voltron easter eggs while ignoring the heart. Overall many episodes were also boring for the most part, I liked that we’ve gotten more “voltron” more frequently but it doesn’t last too long ever. I didn’t keep up with the drama or fandom of the series but apparently it was toxic and some of the progress we had seen is kind of gone and back to status quo when it comes to the characters, I’m guessing Tumblr like folk complained and they kept trying to pander to this fandom only for them to turn their backs on the show because there is no pleasing the likes of them. Then again this is the most popularity Voltron has gotten in the last decades since the original show came out so it’s sort of a success. My broken record thoughts comes back but be aware these thoughts were written after each season was watched which is why I repeat many ideas again… I want to love the show, the animation, character designs, are all top notch and we have character development, ongoing arcs and a serious tone. But when they said they wanted to write the “Voltron show they remembered and not the Voltron show they watched”, they’re not doing that very well. They’re writing the a show they want to write using the Voltron license and not the Voltron they watched. They didn’t seem to think the story arc of the show very well since oddly enough there was no real threat for many episodes of the show and they kept going back to the same ideas but now they weren’t as strong and more of a rehash. 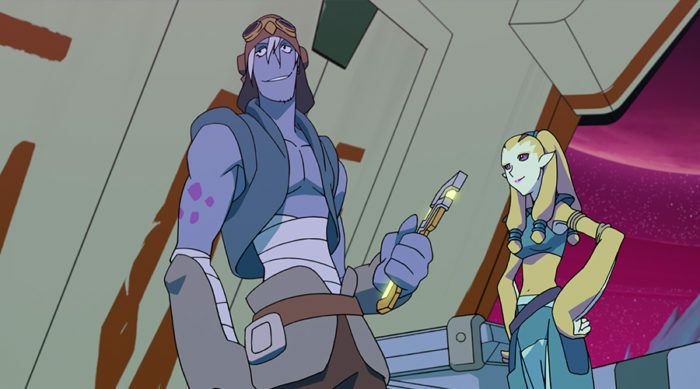 Weird how the war just abruptly ended for the most part of the show, it’s almost like Disney Star Wars level of not wanting to move on when the Voltron lore had plenty to work with instead we get rehashes of face-heel turns from Lotor and the Galra. The whole show is just a mess because of it, as I’ve stated it’s ashamed of being Voltron and it wants to be something else and maybe if it were not Voltron the show it could be far more interesting since it’s basically holding it down at this point. So much could’ve been done with the original lore and the 76 episode order instead of this take which would’ve been better with a new IP. 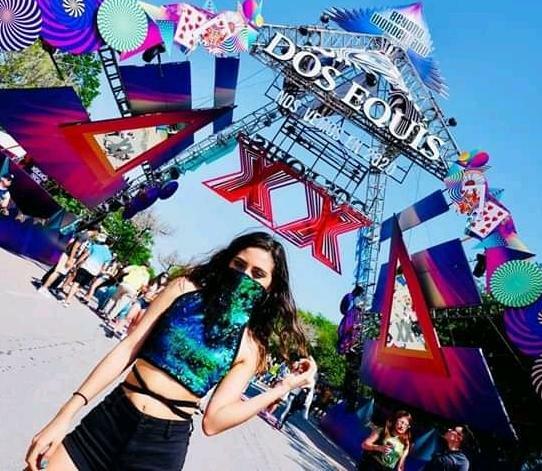 The end of the show in its final season has the same problems as all the others, the ending is fine, nothing exceptionally wrong with it, it’s really the best the show could’ve done with what it had but because the show was sort of a mess it just couldn’t do anything better. 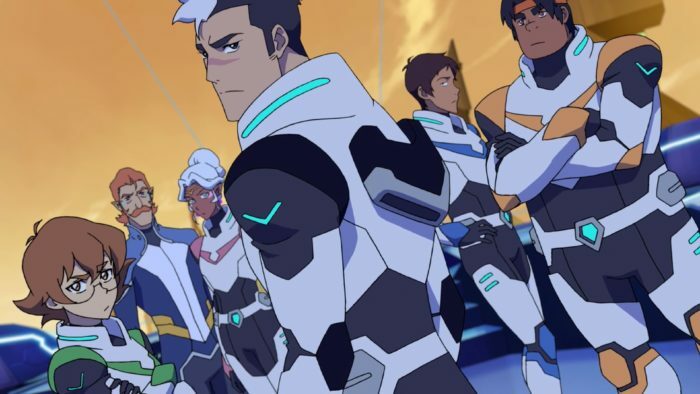 The show was an experiment of sorts and I wish that Voltron gets more stuff in the future and other franchises get a similar treatment that hopefully learn from its mistakes. I have a love hate relationship with this show but I’m glad I watched it even if it’s a disappointment for me.